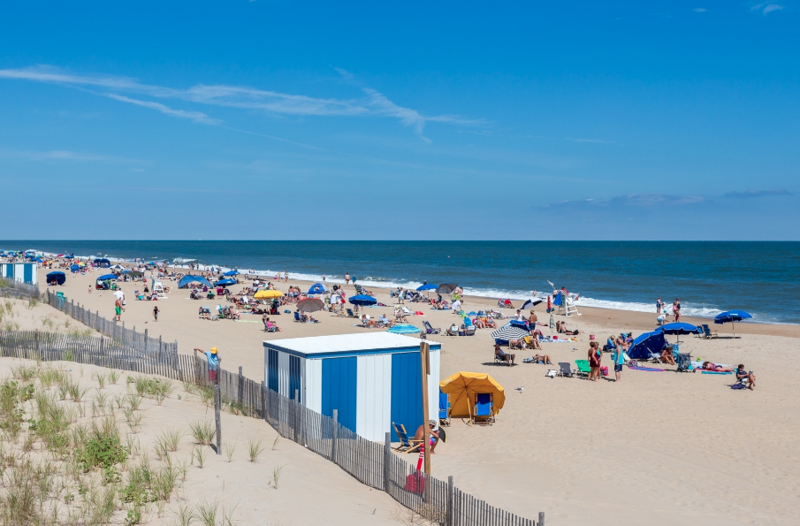 Known as the “Nation’s Summer Capital”, Rehoboth Beach, Delaware is a small, walking town that has it all, including a mile long boardwalk and breathtaking white sandy beaches. The boardwalk houses fun for all ages. Stroll the boards or simply enjoy the nightly entertainment on the Rehoboth Band Stand. Hungry, grab some boardwalk fries, an ice cream cone, some Dolly’s caramel corn, a slice of Grotto’s pizza or some sweets from Candy Kitchen. Whatever you choose, watch out for the Seagulls! After you’ve satisfied your cravings, head over to Fun Land and enjoy the games and rides, serious fun for everyone. Aside from the boardwalk amusements, Rehoboth’s side streets are packed with exquisite shops, boutiques and mouth-watering restaurants. There is truly something for everyone here in the classic Delaware beach town. Looking for things to do? Rent bicycles, go for a stroll along one of the state park’s nature trails, play a round of miniature golf, or head out of town to find a bargain at one of the numerous top of the line retail outlets. Just minutes from town, you may also tee off at one of the areas numerous golf courses or driving ranges. Truly too many activities to mention! Rehoboth Beach is a true family town filled with unique beach cottages and marvelous ocean front homes. It is a great place to visit, convenient to several neighboring metropolitan areas. A vacation in Rehoboth leads to fun times and great memories that will keep you coming back for more!